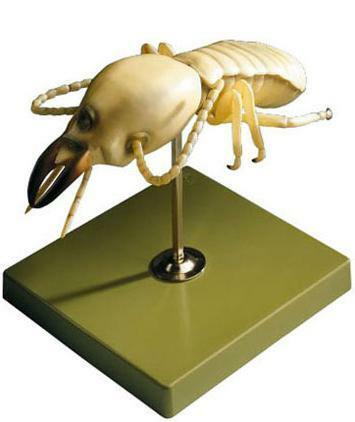 Coptotermes acinaciformis - a soldier termite or ‘white ant’, modelled to the scale of 50:1 in ‘SOMSO-Plast’. In one piece, on a stand with base. H24 cm, W10 cm, D10 cm, Wt 600 g.